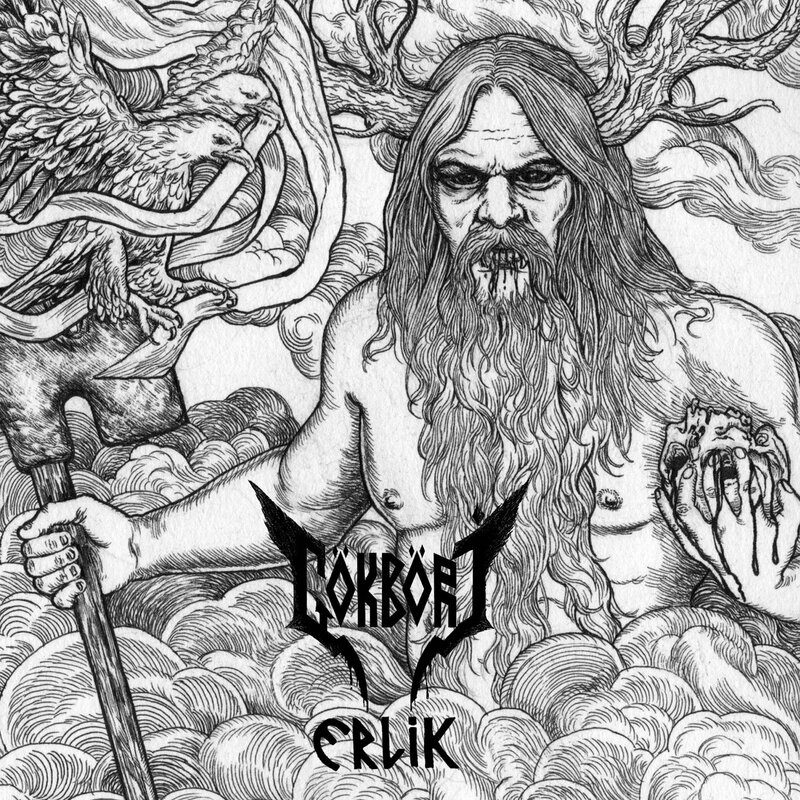 NYC based thrash metal trio Gökböri was founded back in 2007, but it took them good six years to release their debut album ‘Balbal‘ in 2013. The group, whose lyrics are completely sang in Turkish, returned last year with the release of sophomore album ‘Erlik,’ and are currently in the songwriting mode for their upcoming, third full-length. Guitarist and composer Emre Balık spoke for Prog Sphere about the last album, artwork, and more. Describe the musical vision propelling your sophomore album Erlik. In Erlik, we wanted to take what we created in our debut to a further level while maintaining the sound we have created. We didn’t want to – and couldn’t really – repeat what worked before because first of all it’d be boring; second, our musical perspective for the band is revolving around our own musical taste, which naturally evolves and reflects itself upon the music we create. The result was faster songs, more killer riffs, better arrangements and hopefully a better listening experience for the listeners. It was a natural development. Everything happened so fast that I can’t even remember a damn thing! What you are seeing is a collage of some of the songs in the album. The main figure is Erlik himself (the god of the underworld). Not much to say about it, except that we spent a lot of time with the visual artist to get his facial expression right, the two-headed eagle is from the same titled song and talks about the world we live in (from a mythological and a pessimistic philosophical point of view. Not that of your average politically correct person!). It draws parallels to some of the theories about reality itself and pretty much states that the only way out is death. The banner that the eagle holds also refers to another song. What was the creative process for Erlik like? Jesse [Haff, drums] and I lived a few thousands miles away from each other for a while so we had to work remotely quite often. We did find the time to rehearse and it was mostly in LA when I visited him. We had a truly unique collaboration the night before we had to record the last song for the album but the problem was that we had discarded the song on that day. So we had to come up with a new one within few hours, before sleep creeped in. The result was one of the most liked songs in the album. We created demos for each song and kept rehearsing and listening. As time goes by, you get bored of some of the songs and realize they aren’t that good so you eliminate them. We did this until we felt ready and have enough material to record for an album. We pay attention to that a lot so I want to say yes but then again in time you realize certain parts could have been written better in order to keep the flow going. Definitely. Cold brutal winters of New York is no joke. Summers are really like hell so that helps, too! It almost always start with a killer riff. The rest is figuring out what to do next and keep the whole song structure interesting. We derive inspirations from the very deep roots of Heavy/Thrash/Speed/Black Metal or whatever you want to name it. It could be anything from Hellhammer/Celtic Frost to Razor to Black Sabbath to Discharge. Music is a powerful tool that can easily go beyond the borders we as humans have created for ourselves, such as language, religion, etc. so yes! We are currently busy with writing material for our third album, which I think we’ll record this summer. We haven’t established a live line up yet (we do need a second guitar player) so we need to look into that. Erlik is out now via Bandcamp.